When life hands you a smoothie, take it. Especially when it's a banana, milk and honey smoothie from maison d'être. It's been one of those weeks where I've been reminded that sometimes it's good to be good to you. 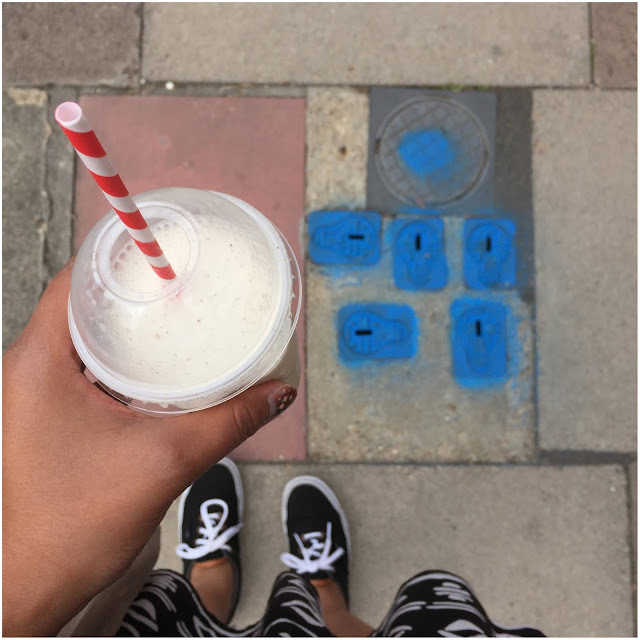 Time out, have a smoothie, focus on the important things in life. Get [what my elders would refer to as] that much needed perspective. I've written about the importance of being zen a few times on the bloggy but this week it's been grounding to just appreciate the little things in life, be it a good chat on the phone with family, receiving a surprise bunch of yellow roses from a lovely pal or getting a home cooked [moutainous] delicious roast dinner. Life is good. 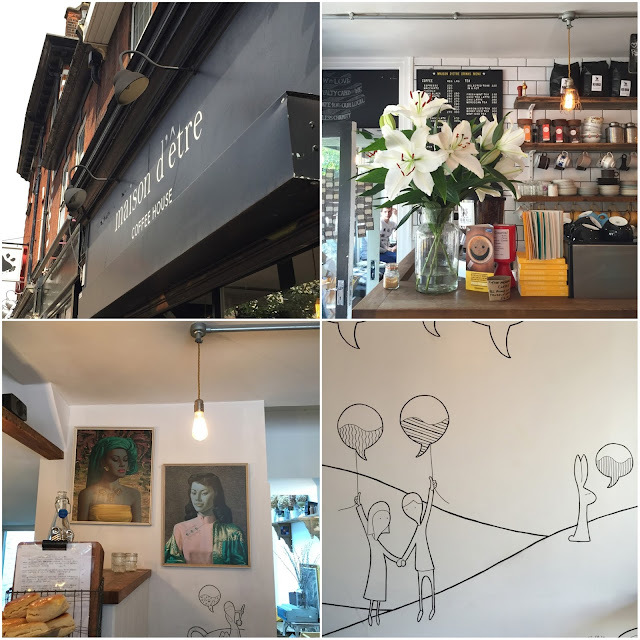 A place I recently discovered with pal and neighbour Janny is maison d'être - the name [in French] to me literally means the house of being which could also be translated into [a place to feel] at home - a coffee house in Islington which serves some absolutely delicious meals and drinks. We recently went for brunch to catch up and had one of the best menus I've tried yet - highly recommended! We had the  french toast with grilled banana, crispy pancetta & pure maple syrup,  portobello mushrooms & sage on thick cut sourdough with goat cheese drizzled with truffle oil & parmesan,  ricotta pancakes with an apple & blackberry compote with a vanilla mascarpone and to drink I had an iced latte [with the cutest straw]. maison d'être isn't the biggest of coffee houses but it's a lovely little space filled with pastries, local jams, art, flowers and comfy benches to sit on [it's also an Instagrammer's dream]. 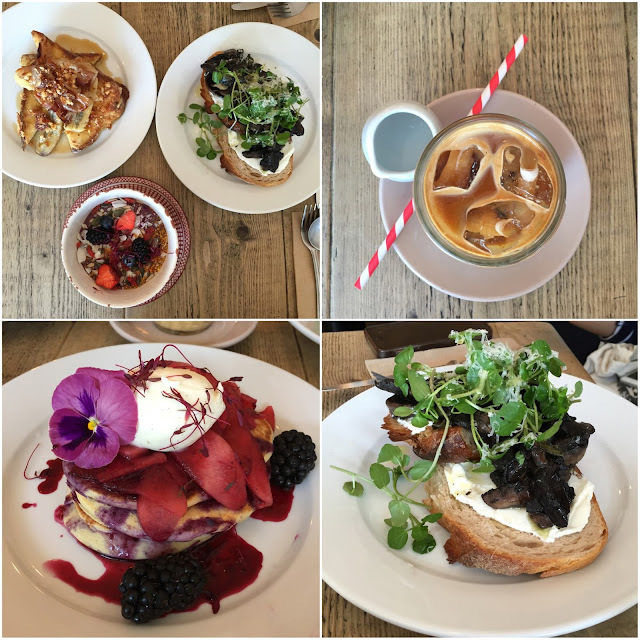 Really well put together, the space feel open but homely - definitely a comforting little haven to relax and chill out in in a busy little place like London. hope you've all had a delightful and chilled weekend.